The film is on the way to the lab as we speak, but I just couldn’t wait to share a little sneak peek of Cynthia & Rheza’s honeymoon shoot in the vineyards of St. Emilion! One of the beauties of being a hybrid (both film and digital) shooter is that you don’t have to wait to see everything you’ve captured 🙂 So here is one of my digital images, but I cannot wait for the film to come back from the lab as I know it will be even more beautiful! 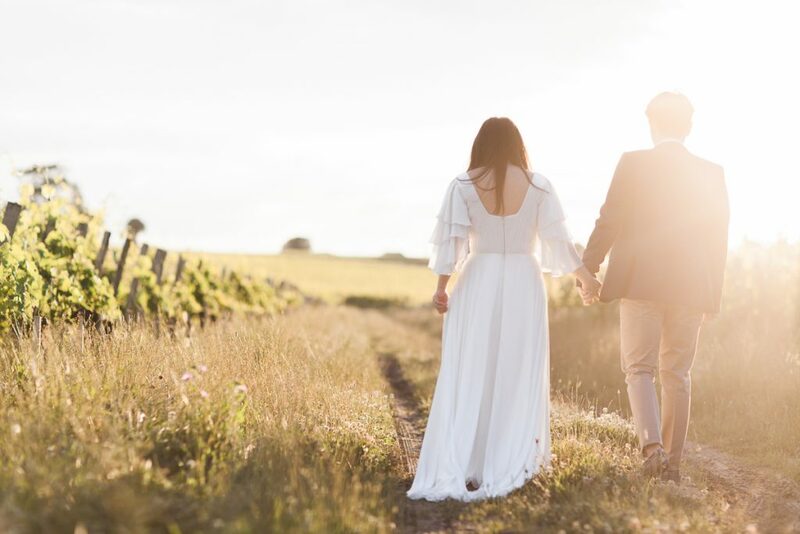 Cynthia & Rheza got married in Indonesia, where they are from, but travelled to the Bordeaux region of France for their honeymoon, staying in stunning Chateau Grand Barrail on the edge of the St. Emilion vineyards. They were looking for a fine art film photographer in France to capture memories of their honeymoon in France, so I was thrilled when they reached out to me. It also gave me a good excuse to go and explore the area (and sample the wine!) and I completely fell in love with St. Emilion – such a beautiful little village! After dodging storms all afternoon, we were eventually blessed with the most beautiful golden evening light. Stay tuned for more soon!